This simple prototype places you in a jungle filled with aggressive dinosaurs and weapons. The is no explicit goal, but at the end of the level is several heavy weapons for your enjoyment. 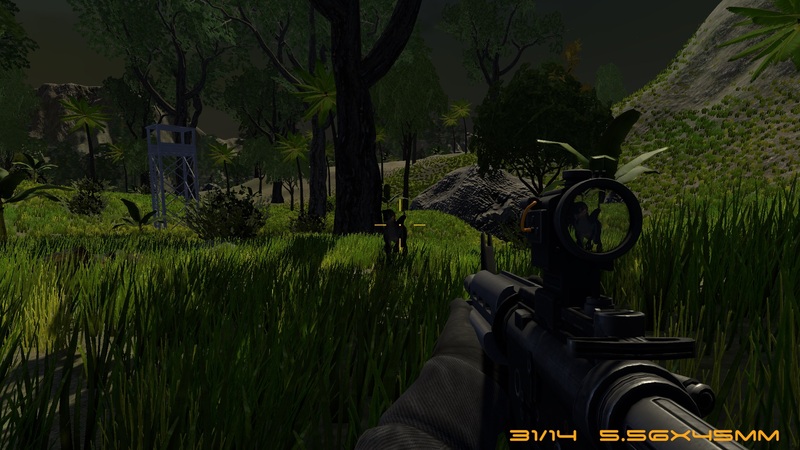 The motivation for this project is to create modern gameplay inspired by 1998 Jurassic Park: Trespasser with some Crysis/older linear fps games in the mix. Story Concept: Ultra rich person decides to build the ultimate game preserve on a remote island, and use genetic engineering to create dinosaurs to hunt. 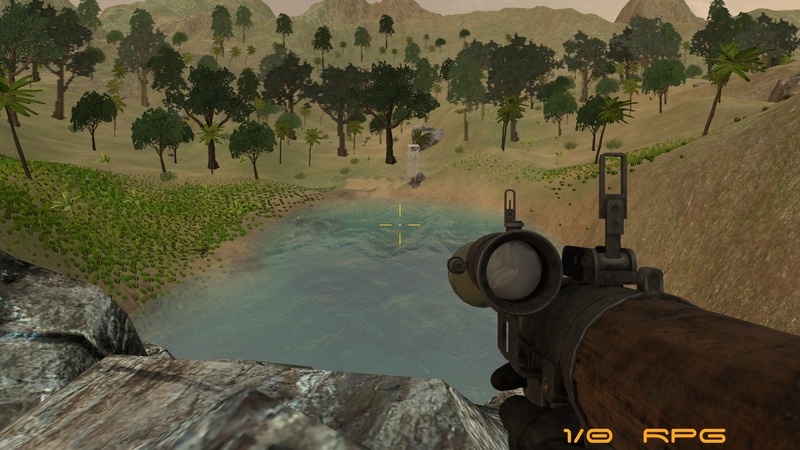 The game preserve would make its money from other ultra rich individuals paying exorbitant rates to hunt the dinosaurs. Something goes wrong, the dinosaurs escape, and a small mercenary army comes to secure the island. Ultimately the owner is killed by his creation. The island is then abandoned and everyone involved sworn to secrecy. Years later a genetics company finds out about the island, and sends a small mercenary team to retrieve any research material left on the island. 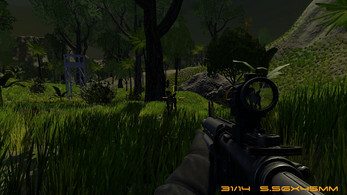 The helicopter of the mercenary team crashes, and the player is the lone survivor now trapped on an island filled with deadly dinosaurs, and must find a way to get rescued. Compy: Tiny little ankle biters that are only meant to be a threat in groups. 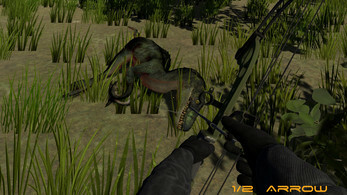 Dilophosaurus: (Coming in the future) Smaller enemy, has blinding spit attack. Raptor: Slightly larger than human sized, very fast and deadly. Allosaurus: Medium sized dinosaur that will be very challenging to deal with. Tyrannosaurus Rex: The biggest, toughest enemy in the game. There is a command terminal that can be opened with "`" and use the "help" command to display available commands; there are two cheat commands: "god", "unlimitedammo". I'm not sure what's wrong, but only the prototype level doesn't work for me performance wise. It's probably something my dual core processor just can't handle. 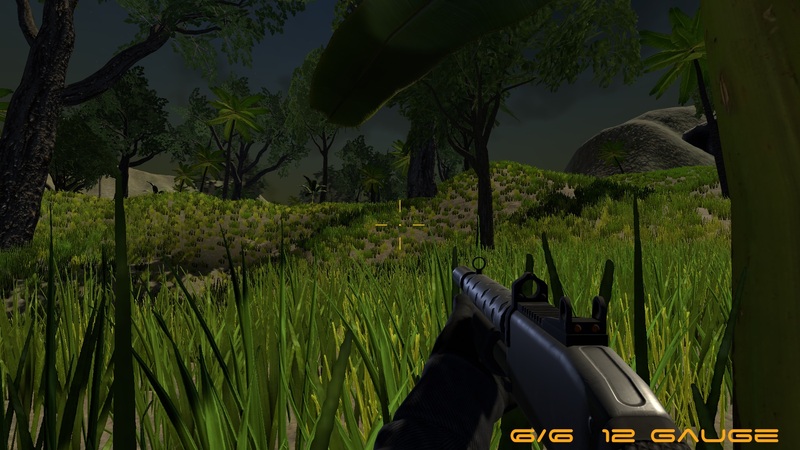 What I will say, is that the guns are fun to play with, and the dinosaurs have nice textures and models. I'm kind of disappointed that there isn't a giveweapon command. I can list the weapon types, but can't give any. From what I was able to play with, it seems great so far. Yeah, my processor is a potato. The predominant cause of my problems. 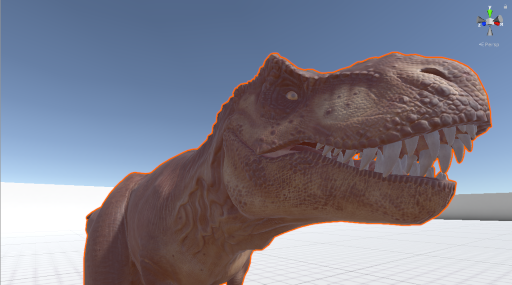 I am setting a goal to get the Trex as a fully functional enemy inside the prototype level and release it by October 31. Sadly, the game crashed on me and then wouldn't work, I don't think the problem was the game, therefore I will try to get it working again and record the game again as this was such a fun game! I really enjoyed the idea of this! 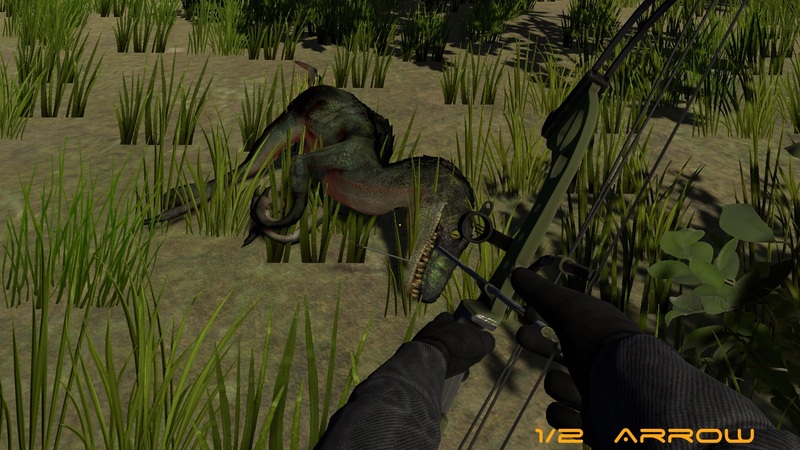 I am aiming to finish and release build 5 next weekend, and there will be a big dinosaur, the Allosaurus to hunt. There will also be a little zoo level for looking at the dinosaurs as I added them. I am taking steps to optimize a fair bit of the graphics, so hopefully performance will be better. 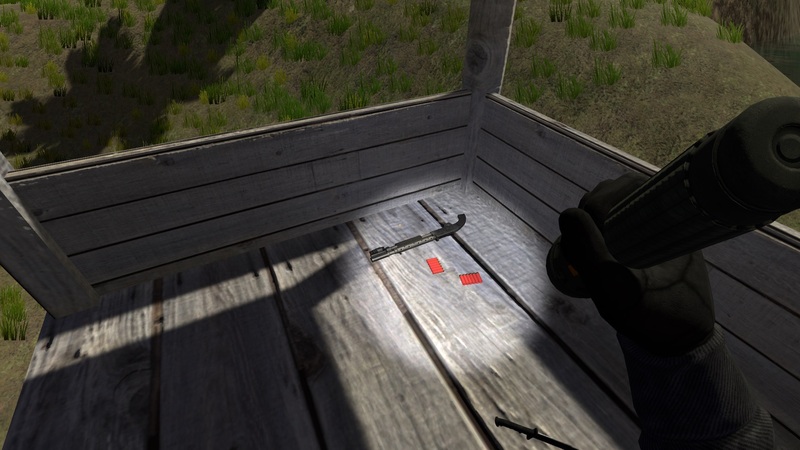 Along will a bunch of new weapons I also reworked the projectile physics, so the bow/rpg will be easier to use. I am not entirely sure, but I think your video demonstrated a bug. 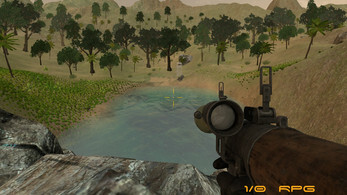 The player has two parts, a floating camera with the gun/weapon, and an invisible character controller capsule for movement/collision. It is possible that the two player components got apart such that your last shot at the raptor might have hit the character controller capsule, thus instantly killing you. It takes about 3-4 seconds for the raptor to kill the player. I managed to fix the bug with the crashing, however I was not able to save or load the game, not sure if there was something else I had to do but clicking on save game or load game didn't do anything. I really enjoy this and I am planning on playing it more and more as you update it! I can't wait for the Allosaurus! I posted this on the Gamejolt site as well, but figured I would put it here too. Love the game, and keep up the good work!